After leaving Norway, Mark and I made our way to the island of Oland, which is located off the east coast of Sweden. We were there to visit our good friend, Johan Wirsen. Johan is not only an awesome person, but he’s also the designer of the Greenland, which is how him and I met several years ago. We spent a couple of days hanging out with him and his friends, who were visiting from Australia, as well as his lovely lady Ann. It was wonderful to catch up and have a couple of days of down time from the tour, which has been very busy. 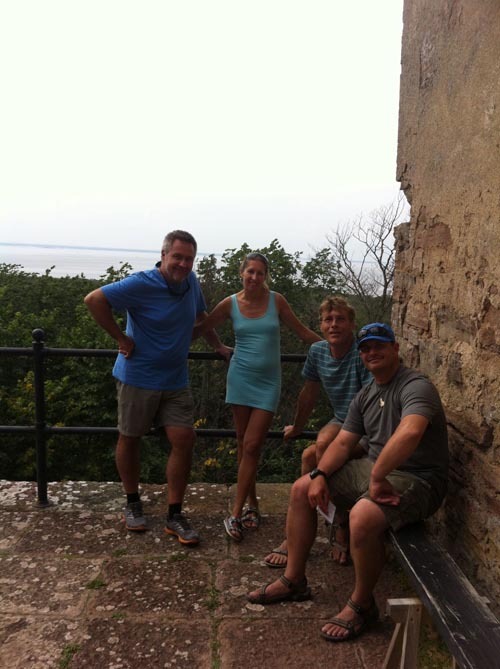 We spent an afternoon with friends exploring a castle on Oland. After a fun visit with Johan and company, we made our way south to Malmo. Malmo has a very active club, and throughout the day students worked on many different kinds of rolls. The weather was fantastic! One of the things that makes Malmo special is its setting. Our teaching venue provided great views of Malmo’s architecture, as well as the bridge that connects Denmark and Sweden. The spectacular city of Copenhagen could be seen just across the Baltic Sea. Mark prepares to launch from the kayak club. 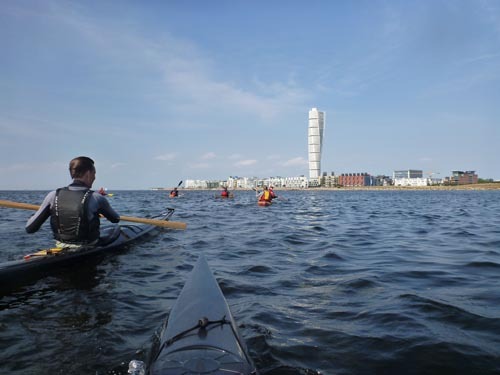 Participants paddle back to the launch with Malmo’s spectacular architecture as a backdrop. 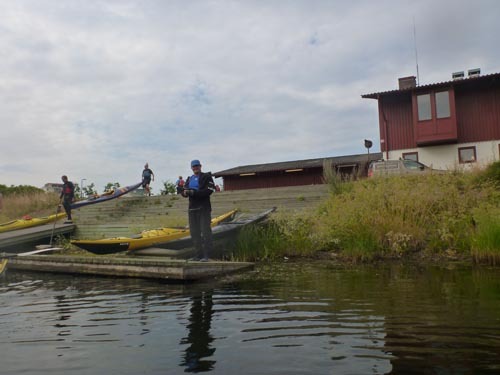 The following day we made our way to Karlshamn for classes on a warm lake. Classes were through Kajak Syd, and they took very good care of us. Participants were lively and fun, and it was great to see some familiar faces from last year. Thanks to Veronica and Goran for hosting us again! 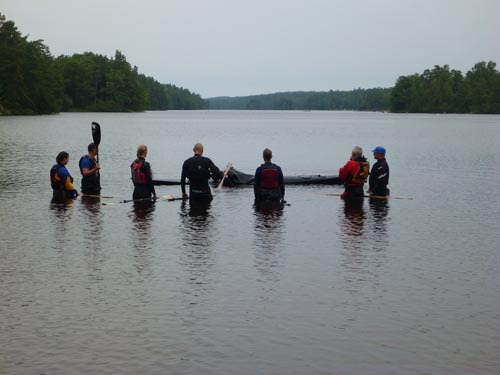 A calm warm lake proved to be a fantastic venue for working on rolling skills. 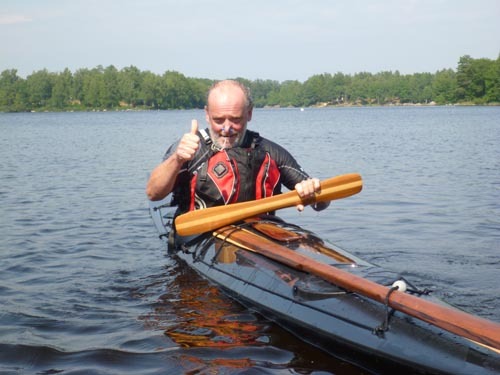 Christer was happy with his results from the day. 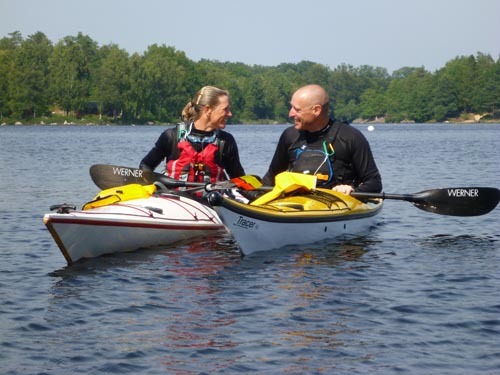 A happy couple enjoys the day on the water. 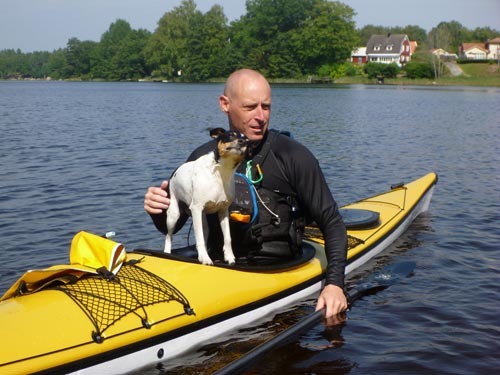 Kayaking is a great activity for the whole family.